The trend towards a more quantitative approach in structural geology has stimulated the development of a number of techniques for determining the strain in deformed rocks of which the most widely used is one called the Rf/&fgr; method. With more than 100 applications of the technique published in the literature this is a timely work, describing as it does the practicalities of the method and its recent refinements. 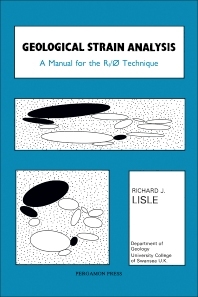 The comprehensive collection of standard graphs, indispensable for the determination of the strain, has never previously been widely available. For undergraduate courses in structural geology, it will also be of value to postgraduate students and other researchers concerned with the analysis of tectonic strain. Introduction. Theoretical basis of the Rf/&fgr; method. Data collection. Application of the standard curves to determine the strain ratio. Extensions of the Rf/&fgr; method. The marker deformation grids. Pure shear deformation paths for various viscosity contrasts. Appendixes: Basic equations. Production of symmetrical Rf/&fgr; patterns from asymmetrical initial fabrics. References. Indexes.